But, regardless of what you think about them as people, it’s hard to argue that they’re not successful. The Pauls have figured out how to game the system in order to make our lives a living hell, and now you can too! All you need is $57 and the fortitude of spirit to endure Jake Paul’s 74-video seminar on how to become a social media star. Or, you can do what we did, and read this thorough report from a brave Buzzfeed reporter who charged into the depths of hell on our behalf. When the seminar pivots to concrete advice on gaining followers, it becomes clear that Jake Paul’s success has had nothing to do with luck. 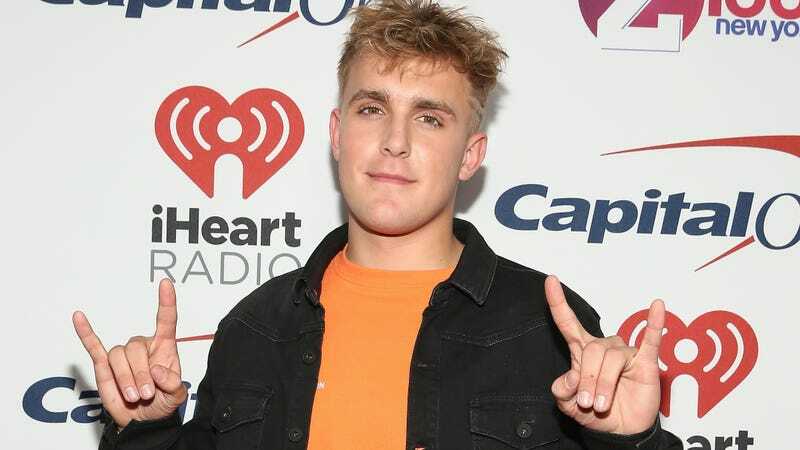 He understands the YouTube algorithm and how to manipulate it, primarily through longer videos with clear narratives that encourage longer watch times, like his very successful “birthday prank” on his brother Logan. He’s also got tips for promoting yourself on other social platforms, most of which revolve around promising to follow someone if they follow you back. None of this is more advanced than what you’d get by googling “social media tips” and reading whatever low-rent articles come up, but it’s clearly working wonders for the Paul brothers. In their final assessment, Buzzfeed concludes that Jake Paul is most terrifying because he’s terrifyingly good at what he does. And what he does is promote Jake Paul. Whether any of the advice contained in these 74 videos will work for the average user remains to be seen. But, by the time it gets to that point, Jake Paul already has your money. Mission accomplished. Read Buzzfeed’s full breakdown here, in frightening detail.